Tasnim – Venezuelan President Nicolas Maduro announced his plan to collect 10 million signatures against the interference of the United States in Venezuela’s internal affairs. “I thank people that came to Bolivar Square in Venezuela to sign a petition and speak against the interference of the US Empire into the affairs of our Motherland. This is a wonderful manifestation of love and consciousness. We are going to collect 10 million signatures for peace!” Maduro wrote on his official Twitter account, TASS reported. A campaign was earlier started in Caracas to collect signatures against the US interference in Venezuela’s internal affairs. On January 23, Venezuelan National Assembly Speaker Juan Guaido proclaimed himself as the country’s acting president. 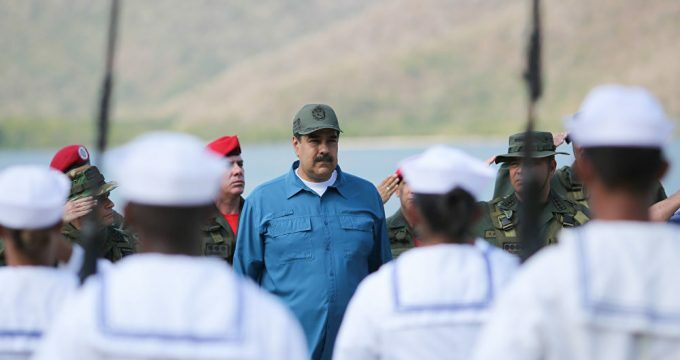 Maduro has described it as a coup attempt and announced severing diplomatic relations with the United States.